Breakfast is served in the crystal-chandeliered dining room which opens up to the second floor rotunda. Some mornings, breakfast is served in the huge working kitchen in front of the massive fire place, creating a feeling of warmth and friendliness. Our recipes include wonderful dishes such as Praline French Toast, Scrambled Eggs with Chevre' Cheese, warm buttery cinnamon apples, only home-made pastries, and in-seasonal fresh fruit compotes which are either served hot and cold depending on the season. Afternoon hors d'oeuvres and selected wines or non-alcoholic beverages are served in the dining room and enjoyed throughout the richly furnished mansion. Guests regularly gather on the fantastic veranda to enjoy the late afternoon breezes or in the library by the warm fireplace to share their day and the adventures they have experienced. 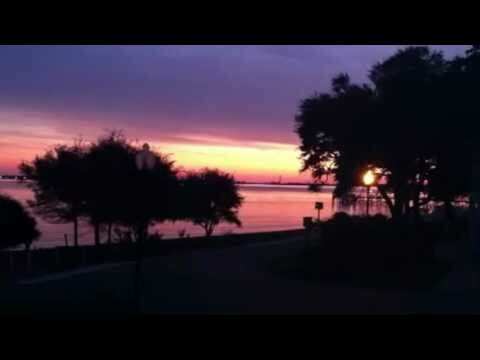 Southport, NC is a wonderful area to consider when looking for real estate. Beaches, golf, fishing, sea food all make this a great place to live or vacation! Give us a call!